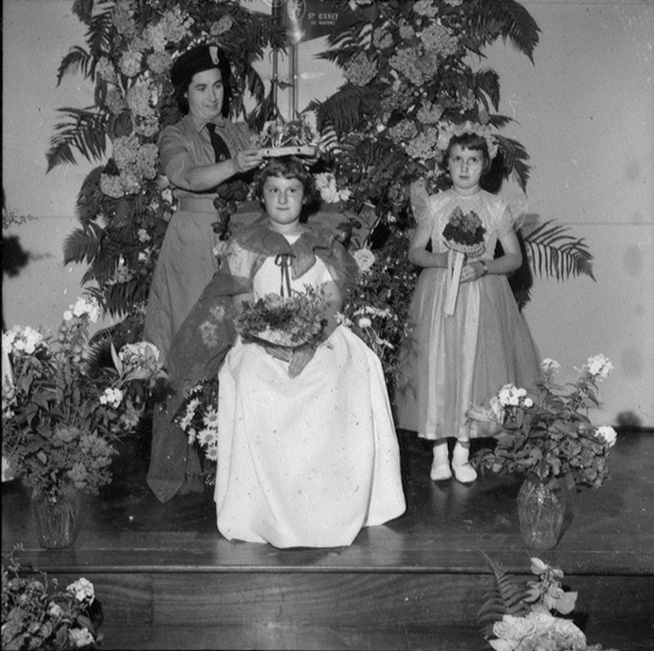 A lovely floral display is the backdrop to the crowning of South Oxhey’s Rose Queen in summer 1964. From the flag and the uniform it looks like the event was organised by the 5th Oxhey Girl Guides. If you know about the event or perhaps were one of the girls pictured, why not write a comment below? My family used to live next door to Lilian Booth in Muirfield Road. Lily was the mother of Gypsy Booth who ran the dance school that introduced many generations to the delights of ballet, tap, jazz and “modern”. Lily was a lovely lady who also used to collect models of owls as well as being a “Brown Owl”. I think that she also made many of the costumes for some of the ballet shows that her daughter’s company staged. 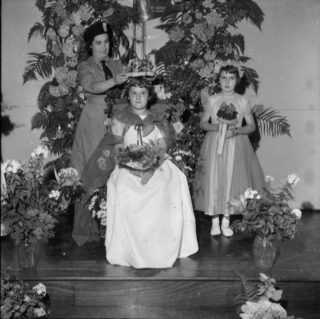 The ‘Crowning of the Rose Queen’ was an annual event, organised by Mrs Lillian Booth who was ‘Brown Owl’ of the 5th Oxhey St Martins Brownie Pack and held at St Martins Church in Muirfield Road. The person doing the ‘Crowning’ I believe is a Guides District Commissioner.